Every day, Watch This offers staff recommendations inspired by a new movie coming out that week. This week: As The Conjuring creeps into theaters, we look back on some of our favorite haunted-house movies. 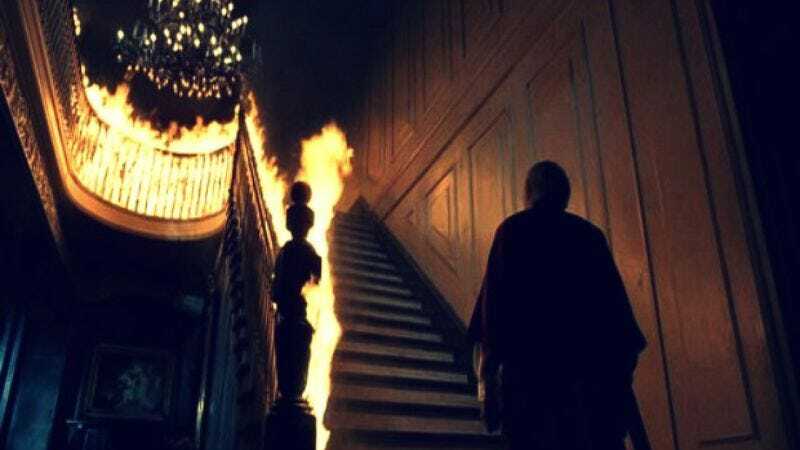 A more comforting alternative to The Shining, 1980’s other memorable haunted-house tale, The Changeling posits noises from the attic as the manifestation of long-buried secrets crawling back to the surface. Though Peter Medak’s film doesn’t boast the open-ended bleakness of Stanley Kubrick’s classic, it remains an underrated entry in the horror subgenre, generating consistent unease through long, ominous pans—up and down staircases, through hallways—that assume the perspective of its searching-for-peace specter. That ghost resides in a historical mansion rented by George C. Scott shortly after the death of his wife and daughter—a tragedy that opens the story with a silent, powerless Scott trapped in a phone booth as his loved ones (stranded alongside a snowy road due to a breakdown) are run over during a freak car crash. Scott’s grief over his little girl’s death is what makes him attractive to his new home’s spirit, which is soon breaking windows and clanging about in order to reveal the truth about a murder that took place in a child’s upstairs room years earlier. Those revelations arrive via a series of suspenseful sequences, highlighted by a séance in which a medium furiously scribbles communiqués from the beyond on pieces of paper. Medak generates terror not just by employing specific, repeated items and motifs (a wheelchair, a bouncing ball, a music-box melody) but also—as with a young girl’s nightmare—by showing supernatural sights only after first suggesting them, by means of characters’ descriptions, in order to inspire the audience’s unsettled imagination. Through it all, Scott brings a gravity to the paranormal proceedings that softens its sillier elements. And even though his relationship with Trish Van Devere’s realtor is underdeveloped and his sleuthing is rather pedestrian—exposing a conspiracy involving a politician that’s far too tidy, all the way up to a neatly resolved finale—Scott exudes such a deep sense of mourning and misery that the film eventually feels as irrevocably sad as its protagonist. Availability: A DVD, which can be obtained through Netflix’s disc delivery service.